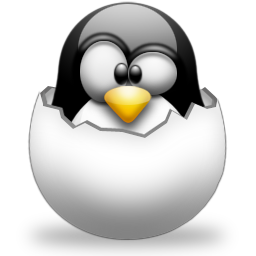 Linux Environment on Windows can be brought by Cygwin, which with cygwin1.dll file creates a Linux API layer providing substantial Linux API functionality. We already discussed about API, various Linux distros and in this article, we will discuss how to get Linux Environment on Windows with Cygwin and what are its uses are. Cygwin is pronounced as Sig – Win; it is a Open Source free ware. As most productive softwares are actually for Linux, when Microsoft had golden days, someone needed to discover a tool, that could integrate some softwares, specially the serverside softwares designed to run on Linux, so that the developers can test and develop the Open Source Softwares. Today, for proper Linux Environment on Windows, Open Source Virtualization softwares can be used, but hardwares were not that great 5 years back. So to run some softwares can be used as on Linux Environment on Windows with Cygwin. But this Linux Environment on Windows with Cygwin is not that easy. Its no magic. To run a particular software as on Linux Environment on Windows with Cygwin, like Apache webserver, needs quite big work. Cygwin was originally developed by Cygnus Solutions and since its acquisition by the software company Red Hat there is the further development, Linux Environment on Windows with Cygwin has been more easier now. Core of the so-called Cygwin DLL is a dynamic link library through Unix API. The APIs of the Cygwin DLL form the counterpart to the system calls on Unix. Ported with Cygwin, the programs usually do not run alone, because they are linked with the Cygwin DLL and thus are dependent to get a Linux Environment or rather a UNIX like environment. Apart from the Serverside applications, there are many other applications which actually uses Linux Environment on Windows with Cygwin core. This includes various desktop GUI, Gadgets etc. For example, Winik is unix like Linux Environment on Windows emulator which enables the users to use KDE, Gnome, Icewm, Wmaker, Xfce etc. on Windows. coLinux is more advanced. This Article Has Been Shared 381 Times! Cite this article as: Abhishek Ghosh, "Linux Environment on Windows with Cygwin," in The Customize Windows, July 1, 2012, April 20, 2019, https://thecustomizewindows.com/2012/07/linux-environment-on-windows-with-cygwin/.